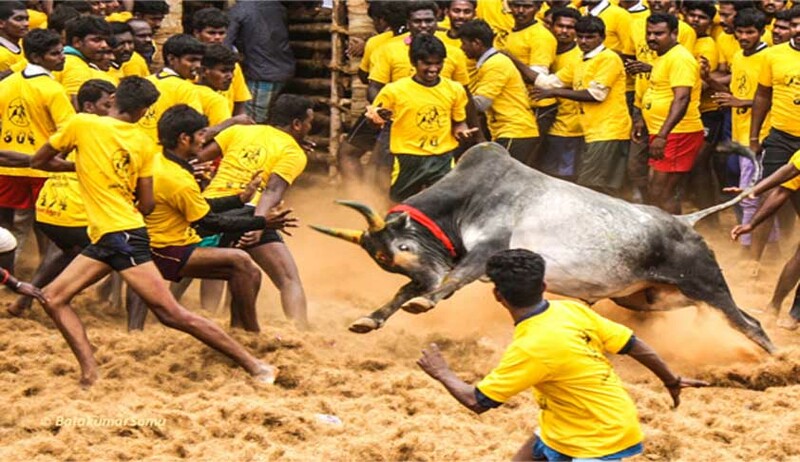 Acting on a submission by Attorney General Mukul Rohatgi, the Supreme Court today agreed not to pass judgement for a week on the contentious Jallikattu issue. A bench of justices Dipak Misra and R Banumathi took into account the Centre's submission that they were in talks with Tamil Nadu to find a way out in the matter. Supreme Court had yesterday refused to give an urgent hearing to a related plea in the public interest. In the plea, advocate N Raja Ramana had sought the court’s intervention, citing Wednesday’s mass protest at Marina Beach in Chennai. The court should take suo motu cognisance and issue appropriate directions to the state government, it appealed. The apex court, however, asked the lawyer to file appropriate plea in the Madras High Court for relief.